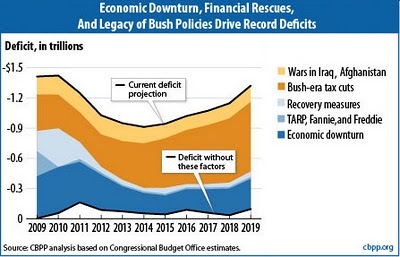 9/11 Wars + Tax Cuts + Bailouts = Recession. First published 11/22/2011; ErikJHeels.com; publisher: GiantPeople. 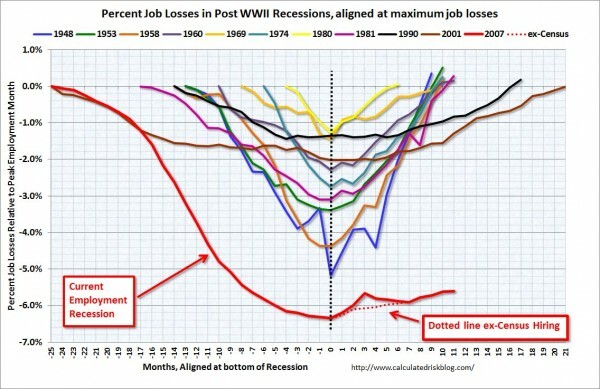 This article analyzes, chronologically, how the US got itself – and the world – into the current recession. I wrote this post primarily for me, because I don’t want to forget how we got into this mess. But if others like it, that’s gravy. The current recession began in 1946 when zero politicians bought this book. You don’t need to study economics in school. You need to read this book. Hazlitt explains, in simple terms, how classic economic mistakes are made by pursuing short-term policies that benefit only a select few at the expense of a long-term policies that could benefit many. Under President Bill Clinton, the US enjoyed peace and prosperity. With this story, [satirical publication] The Onion joked about what would happen after George W. Bush was inaugurated. Now who’s laughing? President George W. Bush started two wars and created two windfalls (Bush tax cuts for the rich and TARP bailouts for Wall Street banks). These are the Big Four expenses that started the current economic downturn. 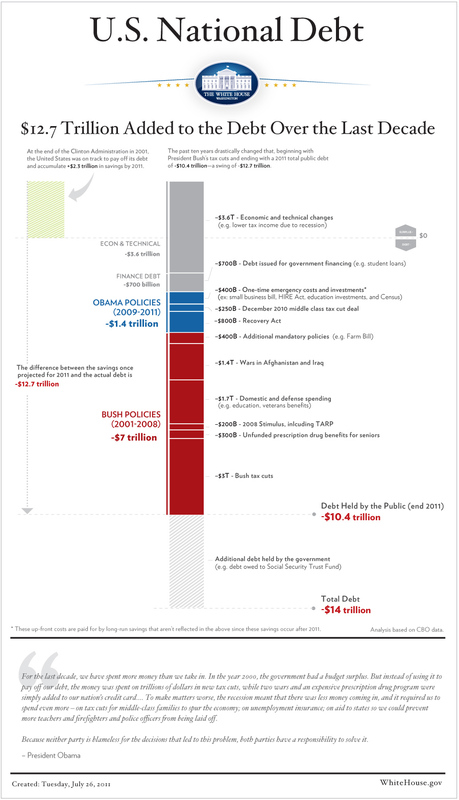 President Barack Obama promised to end the two wars and the two windfalls (Bush tax cuts and TARP bailouts). To date, he has done none of this. In late 2010, Obama extended the Bush-era tax cuts. So they are Obama’s tax cuts now. The housing market started to collapse in 2008. This presentation explains how and why the housing market failed. First a video series, then a book, Crash Course will teach you why we’re all screwed – unless we change now. If you dare watch/read it. For example, you’ll learn why ordinary Americans are forced to invest their retirement savings in risky stocks just to keep up with inflation. Nearly four years ago, The New York Times warned about the impact of the Bush tax cuts. Zero percent job growth over the last decade. 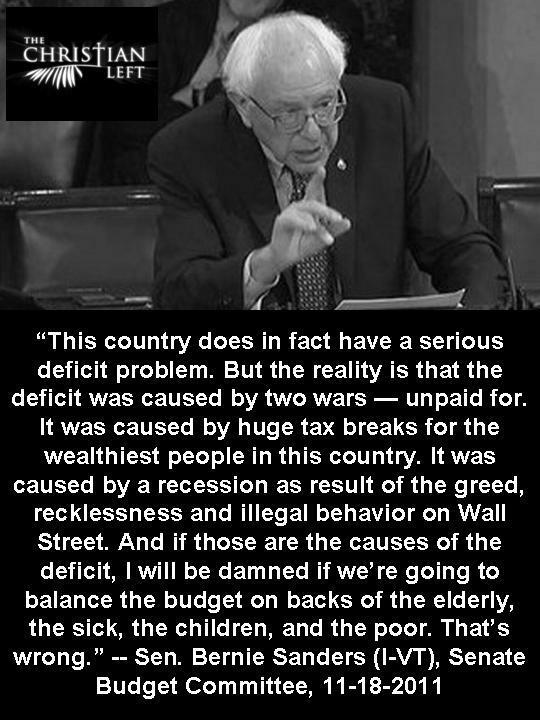 Worst deficit since World War II (WWII, WW2). 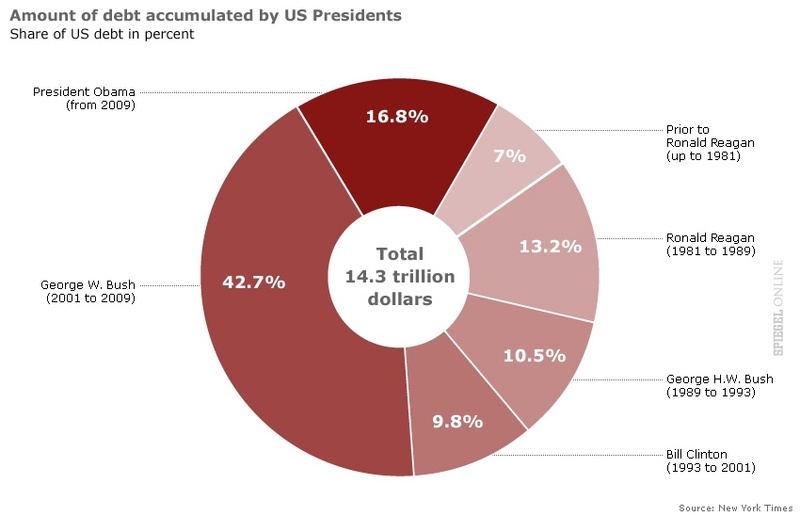 This great poster gives context to politics and the economy from 1776 to 2010. Amendments to the Bankruptcy Code in 2005 prevent student loan debt from being discharged in bankruptcy. Some economists have declared that the late 2000s recession is over. But with US unemployment at 9%, it’s safe to say that the 2008-present recession is alive and well. 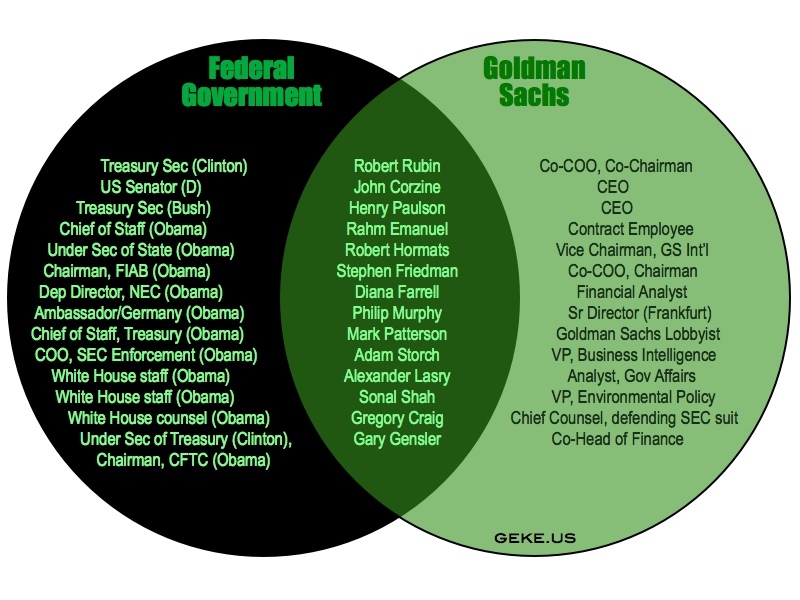 USA Inc. is a nonpartisan group that looks at the US federal government as if it were a business. The best way for most Americans to understand the big numbers in the US budget is to remove eight zeros and pretend its a family budget. Buffet talks a good talk, but he rarely acts on his political ideas. The #Occupy Movement: The Frogs Figured Out That The Water Was Boiling. To late? Or just in time. (That first sentence is in init caps because it was going to be the title of this post.) I recall what one Occupy Boston protester said about why he was protesting: “The Bush Administration may have caused the recession, but the Obama Administration didn’t do what it said it was going to do to end the recession (namely ending the wars, the Bush tax cuts, and the bailouts), and so we the Occupiers feel disenfranchised, with nowhere to turn but the streets.” Then, rather than arresting the politicians and bankers that caused the economic mess, the police started arresting the 99%! Crazy. Perhaps 10 years after 9/11, the terrorists have won. NSFW but worth the read. There are many problems with the world, its economy, and its denizens. People have a short attention span. Most have forgotten the Big Four and what preceded it (9/11). People make decisions based on emotion, not on logic. People don’t understand large numbers like billions and trillions (hint: try removing eight zeros). People take facts out of context. So what happens? Politicians prey on emotions to get people to vote in certain ways. It’s takes money to make money. And instead of a government of the people, by the people, for the people, we have a government of the rich, by the rich, for the rich. It is sad, but it is true. Copyright law was long ago hijacked by Hollywood. In 2011, patent law was hijacked by big business. 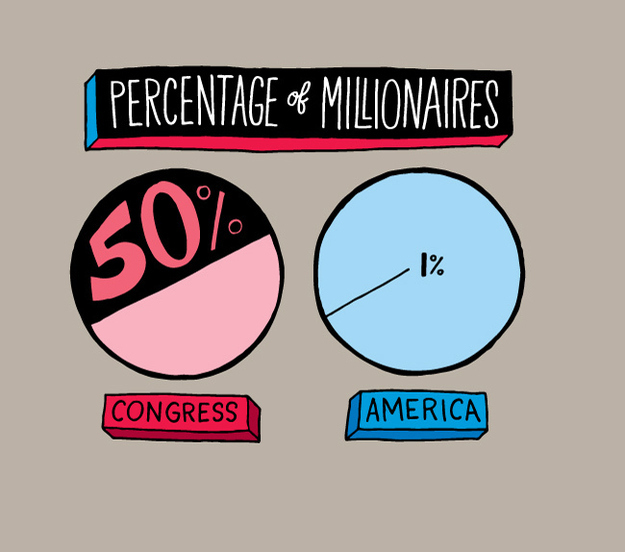 50% of those in Congress are millionaires. Whose interests do you think they have in mind? There has been a failure of leadership in Washington, DC. 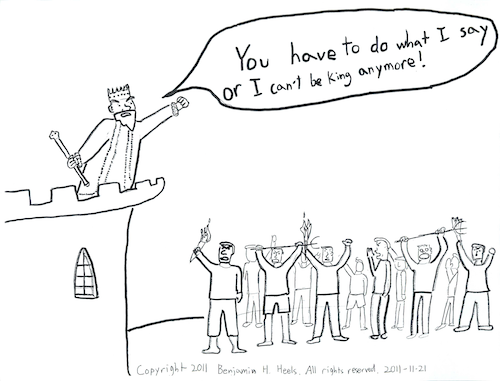 There been a failure of followership. And there has been a failure of get-out-of-the-way-ship. 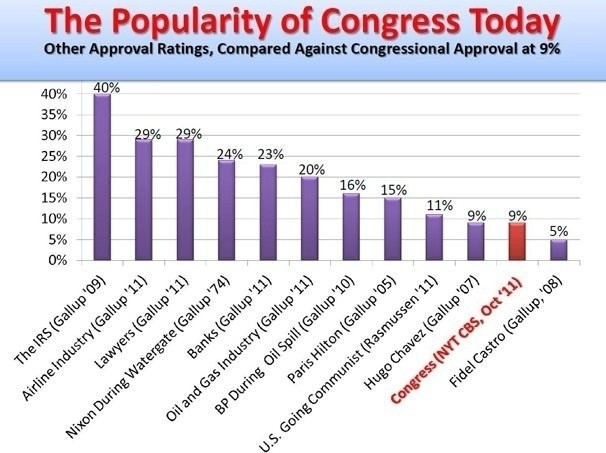 The 112th Congress will go down in history as one of the most political, least effective, and most corrupt ever. Unless things change soon, this independent voter may end up casting protest votes in all contests for himself. Again. I’m pretty good at spotting trends. 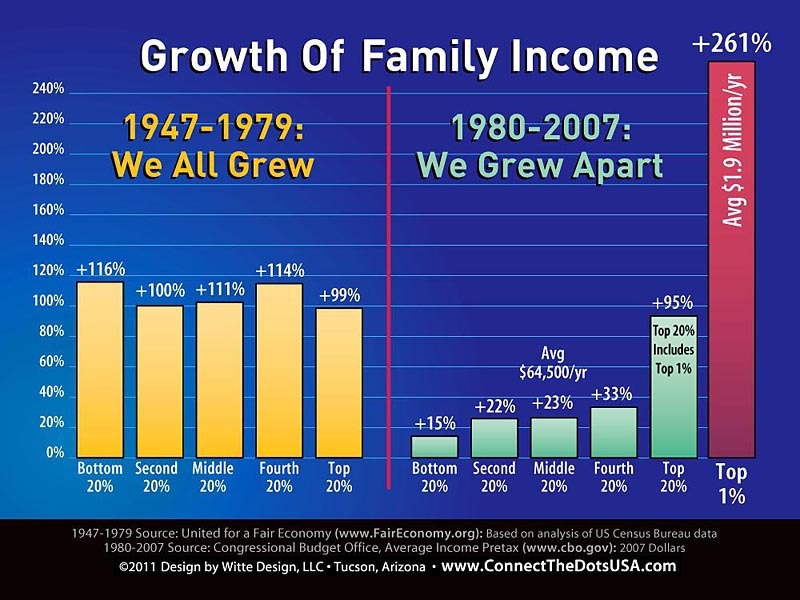 Do you see the trend here? The natives are getting restless. The US government must reform now. Erik J. Heels is an MIT engineer; trademark, domain name, and patent lawyer; Red Sox fan; and music lover. He blogs about technology, law, baseball, and rock ‘n’ roll at erikjheels.com.